For cooks, functional kitchen is very important thing. Well-prepared workplace facilitates all activities. Whenever you make a culinary challenge, the features of stone will surprise you again! 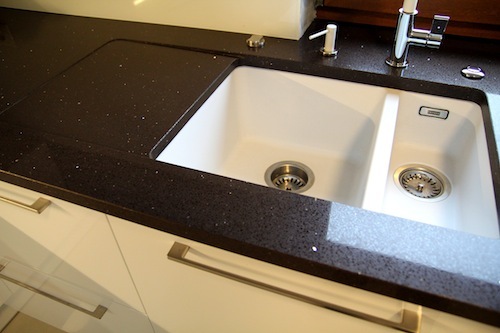 Kitchen tops made of granite or quartz conglomerates are the best solution for every kitchen! Hard, impact-resistant and completly safe in contact with food, allows You to prepare a dishes without any additional substrate. You can cut meat or vegetables directly on the kitchen top without any worries about scratching. Kitchen top created of stone is a perfect surface to prepare a cake. Kneading, rolling or cutting forms is so simple. You can remove any kind of dirt from the surface without any problem. Special care products keeps Your kitchen top in perfect condition. Purchase of a granite worktop or other product is an investment. You can be sure you possess one of the most gentle and sophisticated material to furnish your home with. Each element made of granite guarantees you have something unique. There is no other same worktop as yours. Granite is also very durable and resistant. However you have to remember to impregnate it prior to a usage. Impregnation can be repeated every 6-12 months so that your granite worktop looks hauntingly. 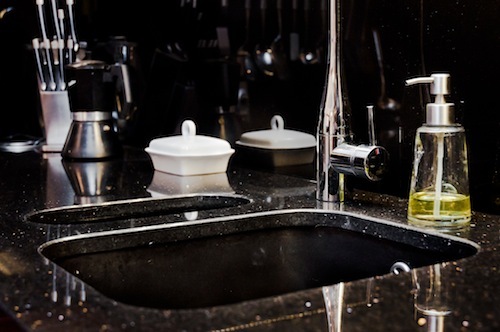 The shape and arrangements of holes in a worktop should match sink and hob shapes and tapware. 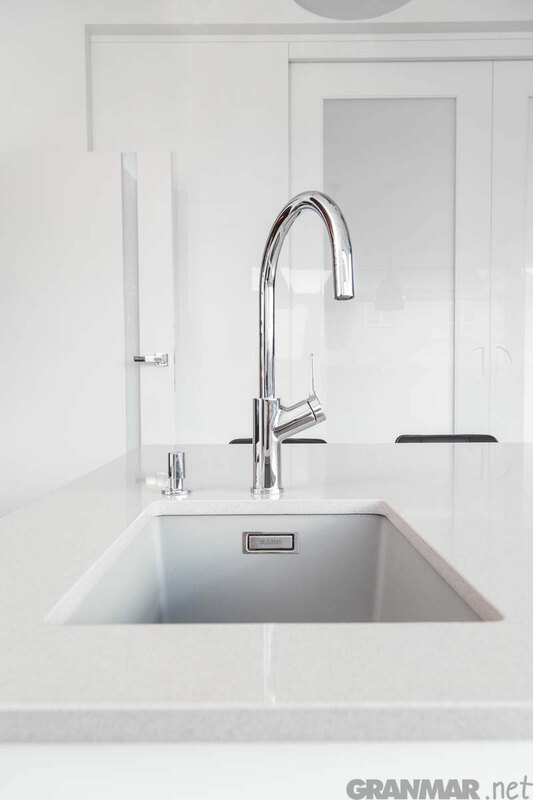 Stone drainers are dedicated for undermounted sinks or for undermounted stone sinks. 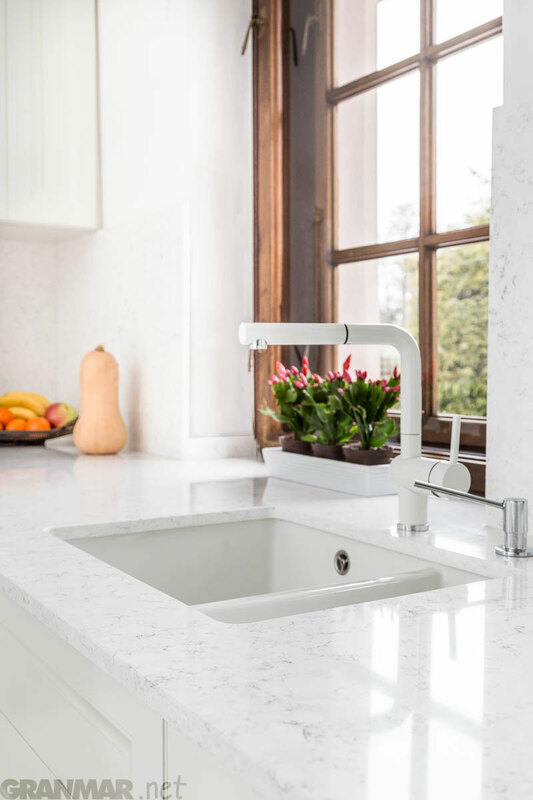 Such stone sink attached to the worktop is made of the same material as the worktop. 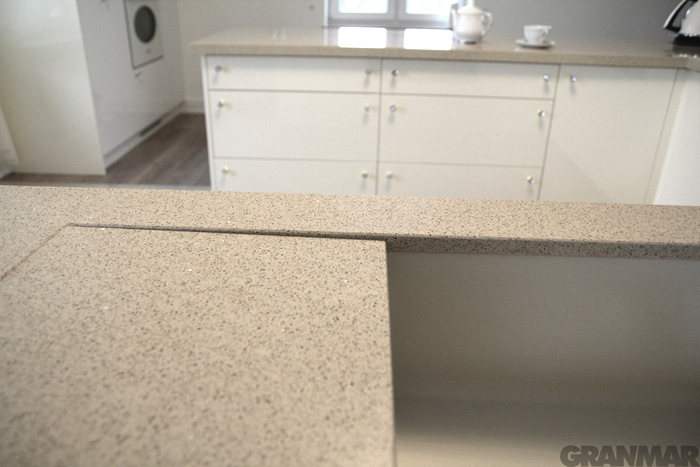 Worktop with a stone drainer and a hole for undermounted sink. Descenting area is a fragment of the worktop itself.